● TracFone offers ongoing free shipping for orders of $19.99 or more. ● TracFone allows you to earn up to $30 for every successful referral you make. Friends benefit from this ongoing promotion, as well; they receive $5 off their phone purchase. 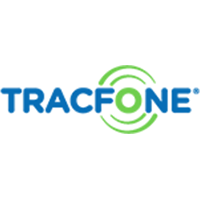 ● TracFone coupon codes are frequently available and are typically good for a set amount of bonus minutes with a minimum purchase. ● TracFone also offers no-contract Bring Your Own Phone plans for people switching carriers for as little as $7 per month, while keeping your existing phone number. ● Subscribers can sign up to the Trac ‘N’ Save savings club for free and get exclusive access to special discounts and coupons for products and services at many affiliated merchants and brands. Tracfone is useful for individuals that are looking for ways that they can save on their monthly bills with their regular home phones or cell phones. They are a prepaid wireless service provider that is said to eliminate the need for bills and contracts and to give users the ability to call nationally, internationally, or to roam at local rates. You can take a tour of their services entirely online before you decide to sign up for anything. Any special offers will also be advertised on the front page of the website to help you save more off of your Tracfone subscription. For most up to date offers check out TracFone on Facebook and Twitter or contact TracFone Support for any questions.